Blog Book Tour | “Legacy of Mercy” (Book Two: Waves of Mercy) by Lynn Austin An #INSPY Historical Fiction, I had the pleasure of becoming introduced by the prequel “Waves of Mercy” ahead of reading the sequel on the blog tour! I received a complimentary copy of “Legacy of Mercy” direct from the publisher Bethany House Publishers in exchange for an honest review. The Digital Audiobook copy of the novel “Waves of Mercy” was inclusive of the audiobooks I am able to listen to due to my Scribd subscription. My ruminations on behalf of the audiobook (and the borrowed print edition from my local library) which serves as a prequel are being shared for my own edification and to help introduce my readers to the series overall whilst sharing my own journey in its discovery. I did not receive compensation for my opinions or thoughts shared herein. From there – I could aptly remember stories of my childhood which befit this category – even some one-offs such as Frontier Lady (which became a trilogy lateron) by Judith Pella were quite beloved (a series I dearly need to find second-hand if only to resume from whence I once left off) – whilst as a book blogger I’ve carved out a list of authors I am pursuing to read to curate a greater list of #mustread authors of both Historical and Contemporary INSPY Fiction. This is why being a part of this blog tour was such a blessing – as I was hoping Ms Austin would become a new author I could continue to read and enjoy following – from a backlist and frontlist perspective of interest! As soon as I began reading Waves of Mercy, I recognised my instincts for finding a saga writer I could love was well founded! The key reason I love reading sagas (especially of the historical past!) is the continuation of spending time with the characters! Of knitting out a well-rounded history of their families and of being able to stay with them as they grow, mature and move through the milestones of their lives! Oft-times sagas also embrace the next generations of their lives – through their children and grand-children – where each new story is an extension of the originals but moving deeper into their descendants and sometimes shifting backwards into their ancestors lives; depending on which way the writer wishes to take their focus. I have an affinity of passion for serial fiction – this is why sagas are a wicked good fit for me! I have trouble parting with characters I feel especially close as a kindred spirit and being able to re-visit with them in latter installments if the best kind of joy I know as a reader! By extension, I also love this when it happens in motion pictures – such as the mini-series or tv serials on television or in motion pictures – a few which come to mind are the Love Comes Softly series, Avonlea, Anne with an E, Murdoch Mysteries (up til a certain season), Downton Abbey (up til a certain season), Legacy (prior to the final year), Dr Quinn Medicine Woman (prior to the final few seasons) and most adaptations based on Classical Literature. The one I never had the chance to see (as of yet) is Wind at my Back which is a Canadian series. These are only a few of the ones I’ve appreciated over the years and I continuously find myself smitten by sagas in fiction – there is such a breadth of joy in seeing how the worlds are built and how the characters themselves become the touchstones of reading about our human condition whilst we sort out our lives as we live each day fully present and captured in the moments which become the memories we cherish in the future. Chicago socialite Anna Nicholson retreats to the Hotel Ottawa in Holland, Michigan, after breaking her engagement with her wealthy fiancé. Filled with questions about her newfound faith and troubled by a recurring nightmare, Anna finds solace in Derk Vander Veen, a seasonal hotel worker who plans to go into the ministry. Prompted by a request from her son, Geesje de Jonge begins to sift through memories of emigrating from the Netherlands almost fifty years ago. As she writes them down for the Semi-Centennial anniversary of the town's settlement, her story takes on a life of its own as she honestly and painfully recalls her regrets, doubts, hardships, and joys. Her story captivates Derk, who sees similarities between Geesje and Anna, and wishes to bring the two together. Anna is terrified by her nightmares about being aboard a ship during rough weather crossing Lake Michigan from Chicago to the Michigan shore – to such an extent, that when she’s starting to experience this nightmare coming real to life it overtakes her sensibility to separate fantasy from reality. Her thoughts in turmoil over how her boyfriend and her separated – over a disagreement about a church and the beliefs therein are what brought her heart to be torn and spilt between letting go of the past and embracing the future. She was still tucked inside those moments they exchanged and the last fragments of her life she had lived in Chicago – all the while the storms continued to plague her anxieties and the manner in which she was about to arrive via the steamship which was a trial of nerves in of itself. Despite her mother’s kind assurances and her faithfulness in prayer and the virtues of affirmative thoughts to carry you through the roughest of situations – not even her memories of sermons and easier times could dissuade herself from rolling through afflicted memories which caused her more discomfort. It wasn’t until her ship allowed her disembark did she first find her feet and heart able to ease out of their quaking displeasure to give way towards a calmer beginning on solid ground once more. This first chapter of the novel I listened to via audiobook – wherein I found the narrator had a pleasant way of bringing Anna to life even though a few of her phrases and wordings felt a bit harder in tone than what was necessary, she aptly described how the churnings of a worried mind could inflict undue duress during a lake crossing aboard a ship which was cast against a difficult storm. I felt she brought Anna’s emotional state to life quite well and allowed us to peer into this young woman’s thoughts in such a way as to make us feel as if we were aboard this ship ourselves, standing near to Anna and observing her discomfort first-hand. We first become introduced to Geesje as she observes the changes in her town – from communication and lightning changes to simply the way people were approaching their lives. Although she’s still in her sixties, people have the tendency to treat her as modern people would treat the elderly – as if she is fragile and not with a lot of her youth still left to give a spring to her step – yet as you observe her directly, she’s a young sixty-something who loves life, even if the changes round her leave her a bit unsettled as she remembers a simpler time before the complications of industry and progress catapulted everyone forward. How well we can all stipulate the same even over the past thirty to forty years where technology has almost superseded our own lives. The irony here is how where progress can inflict a nuance in some ways it allows for shortages in others – how ironic Geesje would find it that infrastructure (ie. roads, etc) are still an oversight of progress (left to be the last of priority) and how we’re a disposal society inasmuch as the one she observed in the late 1800s just ahead of the dawning of the 20th Century! She was commenting how in the Netherlands they reused their buildings, cherished their architectural designs and yet, in Holland, Michigan (where this story is set) they would prefer to demolish and rebuild forsaking the old for the new; the irony dear hearts is that our society today in the 21st Century has the same pattern of destruction and reconstruction! I love how Geesje is a knitter! If only I could one day master the art and complexities of socks, I think I shall be a happier knitter! For now, I appreciate what I can stitch into prayer shawls and friendship shawls – though to be honest, I yearn to aspire to master Fair Isle knitting patterns as much as wearables inasmuch as expound into fibre artist and textile arts of all varieties, techniques and styles. Once your hands enjoy the tactical blissitude of yarn, you find yourself drawn further inside Old World Arts & Crafts – though, of course, what I was most curious over is the pattern she was knitting as the style wasn’t mentioned. You feel for her, truly! She’s being asked to write about her exodus from the Netherlands and what inspired the journey to Michigan – her family emigrated to the States when she was seventeen, which brought back memories of my own relatives who made the journey from their European countries to the States (as I am only a few generations down from when my relatives crossed the Atlantic inasmuch as I enjoy being an Ancestry Sleuth alongside my Mum) – as she started to talk about her honest emotions and the conflicting ways she struggled against her faith and finally found reconciliation – you could tell the journey to a new country was not without its depths of strife and adversity. It had to be incredibly despairing for her and even my own relatives – as I am sure not every person in every family who made the trip overseas wished to leave their home countries – some perhaps, but all? Surely, not! It was a daunting prospect – leaving everything behind to risk a stake of claim to set down new roots elsewhere? You can just imagine how that would lead to a conflict in faith and prayer – of where you might even feel distanced from your spirituality rather than closer in the walk you always felt endured through your life’s path. Especially of course if the hardest part of reconcile were the circumstances you faced after you arrived – if tragedy struck or affliction of illness took away lives – how do you rally against the darkness to resume your walk in the Light? This is the conflict Geesje is having now – of weighing how to best explain the past without revealling herself in such a way where she could lose favour with her neighbours, family and friends alike – as if being completely transparent about the journey and the settlement in a new country could somehow become a negative influence or muddled in such a way with emotional anguish as to paint her life’s story in a different light than it was previously viewed. This gave a deeper scope of insight into how everyone is at times hesitative to share portions of their story – of sharing the living truth of their own lives if it runs against what society or community perceive of a person’s life. Where strife and adversity afflict the memories, there are moments where it feels as if absence of disclosure is a better course than honesty; however, it isn’t the best way of leaving behind a historical artifact of the hours lived but a gentler course if you don’t want to erase someone elses perception of the past. It was interesting watching her work through her emotions and sort out her thoughts on the subject – seeing how she chose what was best for her and what might benefit the community of Holland. Before we can resume Anna’s story, we must first experience Geesje’s through a series of flashbacks and recollective memories. As we move backwards into her childhood in the Netherlands we learn about how her family were Separatists from the main church striving to hold-fast to a living God and not to be confined by the rituals of change ordained by man taking them further away from the scriptures they lived by. For her family, their faith was their rock and foundation of how they approached living – they were tethered to their beliefs as it was as important as air, shelter and food. They believed so dearly strong in their faith their attempts to outwit their opposition and repressive tactics of those who felt they had no right to rebel against the status quo set them apart from most of their family members who despite holding their same thoughts on the subject were not as strong as they were to leave and seek a better place to live. As your reading about Geesje’s family’s history it reflects back on the stories I’ve read during the World War eras – of how irregardless of which country of origin or which era in history you move back inside – there have been many instances of persecution and violence. The manner in which Austin approaches this realistic truth of Geesje’s past points towards her compassionate heart for writing convicting narrative rooted out of History itself and re-fuelled inside fiction to offer keen insight into lives which were once lived but perhaps are not as readily known as other stories oft-times gain the spotlight more often. Anna has gone to Michigan to find recovery after her spilt with her ex and to heal a heart which is still in the process of understanding why relationships can splinter a person’s resolve. Her very first day at the hotel she runs into Geesje’s nephew (an adopted one by association and neighbourly love) Derk which didn’t surprise me as this is a close-knit community. I had a feeling this is the kind of place where most know each other quite well if not by reputation and regards to visitors or tourists, I would imagine they would readily separate a stranger from familiar community members rather quickly. Likewise, I was not surprised either when Derk started to mention how many ships have been lost on the Lake – as the Great Lakes are notorious for keeping their dead, especially shipbound souls as the Lakes hold many watery graves. Anna’s fears of drowning were not misguided whims – especially if you consider the song The Wreck of the Edmond Fitzgerald. What perked my interest is learning Anna was adopted – as I love sourcing stories of adoption and foster care story-lines. It was revealled through her conversation with Derk who presumed she was from Holland or had family settled there due to how she appeared to be of Dutch ancestry. I could understand where he was coming from as people from similar origins have the tendency of taking on the same features of each other – from hair colour to eyes, as well as the features which make them stand out from others such as height or bone structure or even how they speak or use certain phrases in their speech. There are little hintings towards our origins without even realising we’re giving away clues to our present or past. Due to my migraines and my eye injury this October, I wasn’t able to read this story in full – however, the first four chapters were so illuminating towards the arc and journey Anna and Geesje were taking I felt as if I could predict how their lives would start to intersect and unite! It was such a warm-hearted insight into both their lives – especially as it was revealled in this opening bridge of the novel what stirred so strongly inside Anna’s heart – why she felt lost inside her relationship with her fiance and why she ached to learn about her birth parents and the origins of her birth if not strictly the country of her origins. I knew after the fourth chapter I had enough insight to head into Legacy of Mercy as this was tracking into a beautifully lovely saga following in Anna’s footsteps and building on the foundation set forth within Waves of Mercy. At my leisure this Autumn or Winter, I would love to re-explore Waves of Mercy and seeing for myself how Geesje and Anna’s paths finally united, though I suspected I might learn a bit about this as I moved into reading Legacy of Mercy! Having returned to Chicago, young socialite Anna Nicholson can't seem to focus on her upcoming marriage. The new information she's learned about her birth mother continues to pull at her, and she hires Pinkerton detectives to help her discover the whole truth. But as she meets people who once knew her mother and hears stories about the past, Anna soon discovers that some secrets are better left hidden. With pressure mounting to keep the past quiet, she discovers daily that her choice to seek God's purpose for her life isn't as simple as she had hoped. When things are at their darkest, Anna knows she can turn to her grandmother, Geesje de Jonge, back in Holland, Michigan. Geesje's been helping new Dutch immigrants--including a teen with a troubled history--adjust to America. She only hopes that her wisdom can help all these young people through the turmoil they face. Lynn Austin has sold more than one and a half million copies of her books worldwide. A former teacher who now writes and speaks full-time, she has won eight Christy Awards for her historical fiction. One of those novels, Hidden Places, has also been made into an Original Hallmark Channel movie. Lynn and her husband have raised three children and make their home in western Michigan. Blog Book Tour | “A Cowboy’s Pride” (Book Four: Rocky Mountain Cowboys) by Karen Rock Whilst feat. reviews of “Christmas at Cade Ranch” and “Falling for a Cowboy” books one and two in the series! I would imagine your curious about this post – specifically, why it is a bit more unique than my usual blog tour reviews!? I had the chance to read the first book in the Rocky Mountain Cowboys series – ‘Christmas at Cade Ranch’ and the second in the series ‘Falling for a Cowboy’ ahead of reading the newly released fourth novel ‘A Cowboy’s Pride’. Try as I might, I was not able to secure a copy of ‘Bad Boy Rancher’ through my library ahead of the tour, so for now, that is the only novel in this series I haven’t had the joy of reading! As you might already know – I have a fierce passion for reading novels in sequence when it comes to book series. I can’t always do this – sometimes I have to skip around the order or other times, I might pick up a book I hadn’t realised was a series in-progress – generally, this oft-times happens when it comes to Harlequin series – either through this lovely imprint (Harlequin Heartwarming) or the Love Inspired Suspense imprint which you might remember this past July I was talking about rather exclusively! You’ll notice a thread of interest in the Romances I love to read – they are supporting what I call ‘relationship-based romance’ wherein the heart of the relationship and what curates a connection amongst those who are dating strengthens the appeal of reading the stories themselves. Reading Romances like I do, I get caught up in the lives people are living – some make hard choices which I cannot always relate too but are right for them, therein, each time we read, we’re not only ‘time travelling through our own living histories or the historic past’ we’re stepping into different pairs of shoes of people who are living wholly unique lives whilst attempting to pursue a relationship where both parties are standing on equal ground. Romances are a lift of joy to read – even if the circumstances turn dramatic or suspenseful – if at the heart of them, there is hope for the couple at hand, odds are I am a ready fan of how the stories are being written – across publishers and imprints. As we progress through how Jackson and Dani continue to intercede on each others’ behalf, we start to see how the seeds of their romance were firmly planted in their hearts. They each had a toll to weigh against the yearnings of their hearts but it’s how Rock shows their individual growth towards a resolution the reader rallies behind to see happen is what makes the story hold it’s salt against the ‘dangers’ lurking in the shadows. You truly want all the soul wrestling on both their parts to be for ‘something’ and as the concluding chapters show – redemption might take awhile to receive, but it’s the journey towards it that is somethings more important than how it arrives! There were some intense moments where you weren’t sure if Jackson or Dani were going to get out of this alive – where the job of being a bounty hunter was shown exactly how dangerous of a livelihood this is to maintain countered against the will of a woman’s heart to do what is right even if she knows she might be jeopardising her future. You grieve for them both – for the past they both cannot accept without further anguish and for the futures they both are seeking which they never felt either of them deserved! There is a lovely ‘twist’ in the ending – one even I hadn’t thought of as I thought for sure this was going to play out differently – my gratitude to Ms Rock for keeping me on my toes straight til the ‘end’ as it was the sweetest reward! This is one reason, Ms Rock stood out to me – as she’s one of the Harlequin authors I genuinely enjoy to read – she has a way of capturing what I love about the essence of a Contemporary Romance but with the ease of knowing I won’t be flinching for word usage or language issues. Sometimes it’s nice to have a reprieve in that regard! She dives straight into the heart of what is affecting the well-being of her characters – from the psychological groundwork to the soul wrestling angst of trying to own up to your own mistakes whilst sorting out how to live at the same time. She’s tackled hard issues affecting her characters lives but does it in a humbling and honest way – seeking to share the truth of their choices whilst countered by the truth of the circumstances which has led them to this conclusion on where they individually stand. Borrowed Book By: I made a purchase request at my local library for “Christmas at Cade Ranch” as I had previously ILL’d (inter-library loaned) the ‘prequel’ “A Cowboy to Keep” as a way of understanding the foundation for the Rocky Mountain Cowboys series. This is the first time I’ve had the chance to read and share my thoughts on behalf of this first novel. I was not obliged to post a review and decided to share my thoughts with my readers for my own edification. I did not receive compensation for my opinions or thoughts shared herein. James Cade has one priority: keep the family ranch running smoothly in the wake of his younger brother’s death. With Jesse’s ex, Sofia Gallardo, and her young son, Javi, stranded at Cade Ranch over Christmas, this task just got a lot harder. The longer Sofia and Javi stay, the harder it is to imagine the ranch without them. James couldn’t save his brother from his inner demons, but he can give his nephew a secure future. Maybe more—if he can figure out how to trust Sofia, and stop feeling like he’s betraying Jesse. Because trying to stop thinking about beautiful, determined Sofia is impossible. The first six paragraphs were originally shared on behalf of reading the chapter sampler of this novel – I’ve edited those thoughts a bit but they are still reflective of what I was thinking about as I started to read this novel for the first time straight-through. We find Jewel (the spunky cowgirl heroine of Cade Ranch), Justin (Jesse’s surviving twin) & James are taking over the duties of Cade Ranch – trying to keep the place solvent and everything running as smooth as they can manage, despite the hurdles of trying to sort out how to ‘move forward’ after such an alarmingly tragic loss. You can easily ‘step back’ into the series – as the prequel did such a great job of ‘setting the scale’ of the series by placing you into the heart of what makes the Cade’s such a strong family! Here — we get the fuller back-story about Jesse – even though his addictive habit did kill him in the end (due to circumstances his brother, had no way of knowing would impact his future) – it wasn’t the addiction which caused his death; it was something related to being an addict. Despite this, he left behind a girlfriend and a son; a son whose five years old now – meeting his grandmother, Aunt & Uncles for the very first time. This is where we find James – the reserved & cautious elder brother who wouldn’t trust you if you looked honest – he has find a way to validate your intentions, your heart & your motivations. In so many ways, James reminded me of Jackson! Those two are alike the most of where they are the hardest to convince your on a better path in life – even if your first attempt to ‘make it’ proved to have some obstacles in the road to overcome. Dani & Sofia would love being sister-in-laws because they each had to fight hard for what they were getting out of life – they both made certain choices which affected their futures but what united them, was their hope & belief that second chances are never too late in arriving. Sofia is as jumpy as Dani, too! I don’t blame either of them – the Cade brothers are a wee bit scary due to how they appear to be unbending & unwilling to accept you ‘where you are’. Of course, that’s one fast way to short-change their personalities – but both James & Jackson don’t exactly have the best ‘bedside manner’ so to speak! Their affection might be hard-won but if James is anything like Jackson – his heart will soften long before he allows Sofia & Javi (her son) to exit his life for good! Seeing this part of the story – how it’s unfolding to bring everything ‘back to centre’ at Cade Ranch – where it all began and where the future shall be written for the siblings – as this is land inherited through past generations – you can gather the fuller depth of where Ms Rock is taking the series! The continuity is wonderful – I feel like this is the best place to re-insert us into the series – it is on the foot-heels of finding out about Jesse from Jackson’s POV whilst opening the door for Sofia to tell her story – what is remarkable is how it feels like both time-lines are running nearly concurrent to each other, rather than having any gaps in the momentum of the ‘next’ section of where we alight into the Cade family’s journey. One thing to note – is I agree with the sensitive way in which Ms Rock approaches her harder hitting subjects – in this instance, it’s with addiction & recovery. Previously, it was addressing being involved in a bank robbery (Dani’s story-line) — each time Ms Rock knits us closer to her characters, she does it with compassion and empathy. In many ways, I enjoy this aspect of her writings the most – she puts in a lot of thought & time to get the lives of her characters to not only be realistically pleasing to us, the reader, but to honour the real-life counterparts who might be living a similar life. Even the fragility of Joy, the Cade’s mother – is aptly described – of being stuck ‘betwixt & between’ – of not knowing how to proceed forward after losing one’s son. I could relate to this due to not only my own personal losses but the losses of others, of whom, have felt this muddling ‘inbetween’ feeling wash over them – to where they needed to find something to ‘focus on’ outside of their grief before they realised they could ‘transition’ through their sorrow. What does irk your ire quite a bit though is how James won’t quiet the voice in his head over Sofia! She has enough anxiety coursing through her veins without his added input to cast more shadows over her head! It is like walking between lightning strikes and hoping your not going to be struck whilst you reach the safety of a building! He has a short fuse when it comes to tolerance – he pre-judges her based on his experiences with his brother Jesse and that isn’t half as fair as it might sound because no one should be judged against another person. Even if they both had struggles with addiction – every person is different and no one should have to feel that kind of oppressive weight bearing down on them; it is too much to bear really. Sofia needs reassurances in her life – adding more stress to shoulders already buckling under the pressures she puts on herself is not aiding her ability to move forward; if anything, it’s making her question if she is strong enough to overcome her past. A good portion of the novel centres around the cyclic season of addiction and how addicts struggle to keep clean. Sofia and Jesse were both struggling with their own addictions but Sofia found a way through the worst of those storms – so much so, what infuriated her the most about James is that he did not or rather could not see what she’s accomplished thus far forward since she was able to maintain her sobriety. I think the hardest part for Sofia, as a lot of her issues stem from her father’s persecution of her existence (long story!) – being around James was like she had recaptured what she had escaped from her father. The only part I struggled with to be honest was which Cade Sofia felt had caught her affections as to me it seemed like the case had been proven against the match. So much so, I had hoped the ending was a bit different – where she would have struck out on her own, independently and perhaps had dated a different Cade brother as I wasn’t convinced even in the end, the one she felt she loved was the best one of the bunch. I think it is because of his personality but also, of how well Ms Rock showed both sides of the romance – she took a lot of time developing these characters and so for me, in the end of Christmas at Cade Ranch, I felt the character who had grown the most was Sofia. She truly had transitioned from the woman who was full of anxiety and fears to a self-reliant woman who embraced all the pieces of her life; including the bits she was not as confident about acknowledging. On the opposite end of the story, I felt James hadn’t transitioned enough and that was the rub for me in the concluding chapters. Celebrating my 5th #Blogoversary with a retrospective about why I appreciate reading #INSPY Fiction whilst conveying how blessed I am to start reading the stories penned by Kellie Coates Gilbert! Starting with the 3rd Texas Gold series novel: “A Reason to Stay”. Borrowed Book By: I originally crossed paths with Ms Kellie Coates Gilbert in  wherein I met her through her participation in the group author blog “Southern Belle View Daily” which was affectionately known as ‘Southern Belle View’. I was a regular visitor who chatted with the authors on the blog and engaged in the content they were sharing. I had the opportunity to receive the first two novels of the Texas Gold series shortly afterwards, however, due to a variety of adversities which took me away from the joys of reading these past several years, it wasn’t until this New Year 2018 where I could lay heart and mind back into the stories I had to shelve for another day where I could focus properly on their contents. I was originally gifted a copy of “A Reason to Stay” by my Mum, who knew how excited I was to start reading the Texas Gold series – this is within the year or so of this third installment’s release. I was going to surprise the author and read all three novels back to back whilst sharing my reactions with my readers as I have a self-directed focus on INSPY authors I am either re-discovering or just now becoming aware of as I re-start my readings in earnest into the INSPY realms of Fiction. I go into why I had to borrow through ILL’ing (interlibrary loaning) this novel in this top anchour ahead of revealling my ruminations on the emotionally evocative story Ms Gilbert has written for us – however, I wanted to mention I am choosing to share my thoughts on behalf of this story for my own edification inasmuch as inspiring my readers to become acquainted with a #newtomeauthor I am truly blessed to have found. I did not receive compensation for my opinions or thoughts shared herein. I originally crossed paths with Ms Gilbert whilst she was part of Southern Belle View – a lovely group author blog I used to frequent six years ago, a bit prior to becoming a book blogger – of which I am celebrating my 5th Blogoversary *today! * on the 31st of March, 2018! This was the day I love to observe as the day I created Jorie Loves A Story – whereas I honour the day I launched my blog to the world on the 6th of August every year as the day in which my blog has its public ‘birthday’. I was thankful to receive two of her novels – which she offered to send me to help me become acquainted with her Texas Gold book series as well as her writing style – as this was a few years ago, the series had just the first two novels recently released. I had hoped to have read both of them close to the time I first received them – however, most of the years I’ve been a book blogger, I’ve had a few set-backs with the plans I’ve made along the way. My health has been a big factor as well as personal strife & tribulations – as we all have lives outside of our bookish and readerly lives of which give us the most joy to share with our readership. Earlier this year, I reconnected with Ms Gilbert – as I was trying to explain the distance between receiving her novels and being able to fully appreciate reading them this New Year, 2018 – as it was going to become my year back into reading Inspirational Fiction (#INSPY as I like to nickname it on Twitter) whilst proving to be the year I can focus on my *70 Authors Challenge* which specifically focuses on the INSPY niche of Literature as you can see on the main page I created for this personal exploration of a branch of Lit I am definitely passionate about reading! I’ve been a hybrid reader my entire life – moving in and out of INSPY and mainstream channels of interest since I was a young girl. This equated to regular visits to Christian bookstores (at the time, in the 80s and 90s the only place truly to find INSPY being sold) as well as big box, Indie and mall (remember those?) chain bookstores – to see a wide spectrum of both titles, genres and bookish realms! I would also frequent used book shoppes – even before it was fashionable to gather a bit of insight into the books falling ‘off’ publication and/or the backlist of authors I might one day feel inclined to be reading. In essence, I’ve led quite a bookish life despite having a rocky start at learning to read (ie. as a dyslexic learner). I settled on Judith Pella and then took a proper hiatus til I discovered Dee Henderson, Deeanne Gist and Julie Lessman. More recently in the early days as a book blogger (my 1st Year) I crossed paths with Brenda S. Anderson – of whom is now a beloved author for me to read with the added blessing of being on her Street Team. (see also the archive of my posts for Ms Anderson) I am still reading her Coming Home series this Spring – wherein I hope to reveal my thoughts on the last two installments of this series before moving into her Where the Heart Is series. Moving forward – when I first found Southern Belle View, I also found The Word Wenches (another beautifully lovely group author blog), the writerly reader blog of Ms Lauren Willig, the many blog visits of Ms (Julie) Lessman which were ‘organic blog tours’ of their own kind and the lovely blog of Ms (Mary) Ellis. I had a singular route I would visit and comment upon regularly – hence why I initially conceived of the spark of inspiration which lateron became ‘Jorie Loves A Story’. 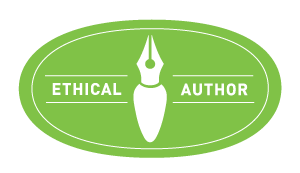 In those early days of laying down the foundation of my blog, I wanted to re-focus on INSPY Literature – start reading the stories of the authors I was visiting with regularly in the book blogosphere and start to share my bookish life. However, I was such a newbie to book blogging – trying to sort out how I wanted to articulate my writerly style as a book blogger, whilst mindful there was a larger community out there I was slowly becoming a part of – from readers, to fellow book bloggers, to authors who had other author group blogs as well as wading into the realms of both INSPY and mainstream publishing channels of interest. Fast forward – Southern Belle View was a group author blog who had a rotation of guest authors being featured each of the days they would host new posts & discussions. A few times they would host bookaways, but mostly it was a place to engage in light-hearted chatter, bookish topics and get to know the ‘writers’ themselves in an interpersonal way as you were commenting directly with them on each of their ‘daily’ posts – which is why the full name was ‘Southern Belle View Daily’ as each of the Belles themselves were living in the ‘Southern’ tier of the States – from Texas to Mississippi to Louisiana (I believe?) and someone I believe was in the Carolina’s. The uniqueness of their writing styles and the ways in which they interacted with their readership was what pulled me into their posts. I fell lin love with Ms (Lisa) Wingate’s writing style when I first read “The Prayer Box” which touched my spirit and my heart alike – it also marked my first ‘blog tour’ as a book blogger of which I was forever grateful for JKS Communications for giving me a chance to participate in such an event during my first ‘live’ month on Jorie Loves A Story. My parents would gift me a copy of the next story in sequence as this became a series of stories – known best as the Carolina Chronicles – however, I still need to gather a copy of the omnibus edition of the novellas which released betwixt the others and the final story in the trilogy. I was planning to let this series become my gateway into other stories of the Belles but then, of course – I was honestly ‘distracted’! As I became more active in book blogging and started to sort out how to work with authors, publisher and publicists – I sort of started to focus on garnishing a readership for Jorie Loves A Story whilst sorting out the kind of stories I wanted to focus on reading overall. I also was gaining traction on how best to balance my personal library readings with the stories I was borrowing through my public library – the balance of course remained elusive to my intentions until two years ago – wherein during 2016 I started to implement changes in my blogging schedules. I began a personal Renaissance of redirection and re-focus of my personal goals for Jorie Loves A Story in other words. You can see the fuller effect of those efforts now in 2018 – as I purposefully schedule less blog tours, am ever more vigilant about being particularly particular about the stories I accept for review and am starting to reap the rewards of being able to read ‘more’ but read without hard deadlines (for the most part). I am also merging into a new vein of my bookish life where I am shifting towards a goal of reading 50% of the books via print editions and listening to 50% of the books via audio editions. This became more apparent as a personal need of mine when I noticed a reduction in my chronic migraines – hence why you see more audiobook reviews populating on my blog! Towards that end – this year, I am gathering more audiobooks outside of blog tours – whilst taking advantage of being able to ILL (interlibrary loan) audiobooks on CD and borrowing eaudiobooks directly from my library’s OverDrive catalogue as well. All of these small personal changes were leading me back to the world of INSPY Lit – whilst my Mum and Dad have been helping me as for the past year and a half they have spent my blogoversarsies and blog birthdays gifting me anthologies of INSPY novellas! You’ll see my reading adventures into those as the months move forward as I am slowly working my way through a personal list of #nextreads and #mustreads – most of which are listed on my *70 Authors Challenge* page. This gives a keen insight into the genres and themes of INSPY Lit I gravitate towards whilst owning to the fact even when I set a plan into action, I do deviate and ‘add’ more authors of focus! Laughs with mirth. This journey of mine has led me to the writings of Kellie Coates Gilbert – she blessed me with the first two Texas Gold novels whereas Mum gifted me the third novel “A Reason to Stay” – however, during an end of Summer cleaning, I ended up packing up a large portion of my books to unpack as I finish the ones I had on my bookshelves – as I had to reduce my bookcases two years ago. This gives me a rotation of stories rather than keeping them all unpacked all at once – of course, one day I hope to have a designated room again for all the lovely stories but until then, I sorted out how to make due with less space to greet them all on a daily basis. I thought for sure I had kept all of Ms Gilbert’s novels together – yet, one went missing! This very novel – the third installment of the series! I fretted over it for a bit longer than I ought to have in February before Mum came to my rescue and said – before you go hog wild trying to find which box has which book, why don’t you just simplify it and borrow it through ILL’ing? You know how much you love to seek out your ILLs! lol She surely does know me well! The novel came rather promptly (in early March) however, March became a wicked horrid month for personal health – this is why I was severely under-read at the start of Spring. I wanted dearly to read this series in order – though it is a true test of patience and faith to acknowledge not everything is meant to go according to plan! It is our continued quest towards remaining humble in our lives to realise it is ‘okay’ to do things outside of the plans we set for ourselves – owning to the fact sometimes doing things out of sequence is actually a ‘good thing’. At least this is what I resolved realising as ILLs are only with us for three weeks – given how I spent those weeks under the weather, I chose to read “A Reason to Stay” ahead of “A Woman of Fortune”. One of the biggest blessings I’ve had these past five years is the JOY of reading without failure to connect to the stories – meaning, there was such a time where I felt disconnected from how novels were written as motion pictures were easier for me to ‘connect’ with in a quasi-visceral manner of enjoyment. Somewhere between the initial inspiration for Jorie Loves A Story – I not only healed my reading life but I reclaimed a passion for ‘writing’ as well. As my blog is an extension of my writerly life in a way I am sure might remain overlooked by most of my readers. You get a sense of my personal writing life if you move in and out of my posts – all five years worth – as there is a growth amongst the archives from day one to the present day. I am overjoyed the story I get to share with you, as I celebrate my 5th Blogoversary as a Book Blogger – where I found a newfound passion for being a book cheerleader and a author’s advocate is “A Reason to Stay” because even before I read the story itself, the title struck a chord in my own heart. I found my own ‘reason to stay’ a book blogger when I realised by sharing my bookish ruminations, I get to leave notes of gratitude back to the writers who are enriching my life with their stories. I get to acknowledge how their stories affect me and what impressed me about how they approached their individual perspective of how stories can thrive when fused so eloquently with their own personal imagination and vision for the craft of writing. I am staying a book blogger due to the pure celebration of ‘stories’ I love reading but also the continued love of pursuing the written word in all its facets of exploration – wherein the story itself is where my own enlightenment is actively found. 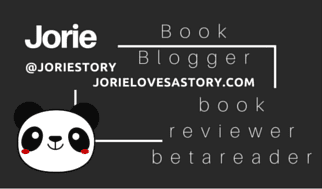 I love spreading bookish JOY – thank you for being a part of my journey here on Jorie Loves A Story. May you remain with me as I continue to seek out the stories which touch my mind, heart and soul. And, may 2018 be a year where I can finally re-merge my INSPY readings into my regular readerly life, as they become fused directly into my life once more – as they have been an absence I have missed reconnecting with these past five years. They’ve been there, of course, hovering in the background – but now, I am thankful they can take their rightful spot as co-navigators of my bookish world! postscript: I am sitting on a lovely SURPRISE I received this year, connected to the Texas Gold series – as I am reading this series back to back – resuming where I left off within Faith’s story (ie. A Reason to Stay) by pursuing the journey I am about to take with Claire (ie. A Woman of Fortune) – you’ll simply have to wait to find out about the blessing I received and my further ruminations on behalf of this heart and soul centred series! Notation on the condition of this paperback: Did you notice how well-loved this interlibrary loaned copy of “A Reason to Stay” is ?? This curling of the bottom pages is how it reached my hands – the cover is now ‘soft’ to the touch, hinting towards how many bookish spirits have entered this novel and the ways in which the pages easily turn speaks of how this story has touched a lot of hearts ahead of my own. Although I am dearly particular how I read my own books – I can recognise a smile of joy in seeing how well-read a library book is by the patrons like me who amplify their reading life by the collections of public libraries which give us a renewal of hope to be able to seek out all the stories we readily wish to be reading irregardless of our purchasing budget – as public libraries fuell our reading lives as much as our intellectual curiosities (in the Non-Fiction realms). Kellie Coates Gilbert has won readers’ hearts with her compelling and highly emotional stories about women and the relationships that define their lives. A former legal investigator, she is especially known for keeping readers turning pages and creating nuanced characters who seem real. Born and raised near Sun Valley, Idaho, Kellie now lives with her husband of over thirty-five years in Dallas, where she spends most days by her pool drinking sweet tea and writing the stories of her heart.